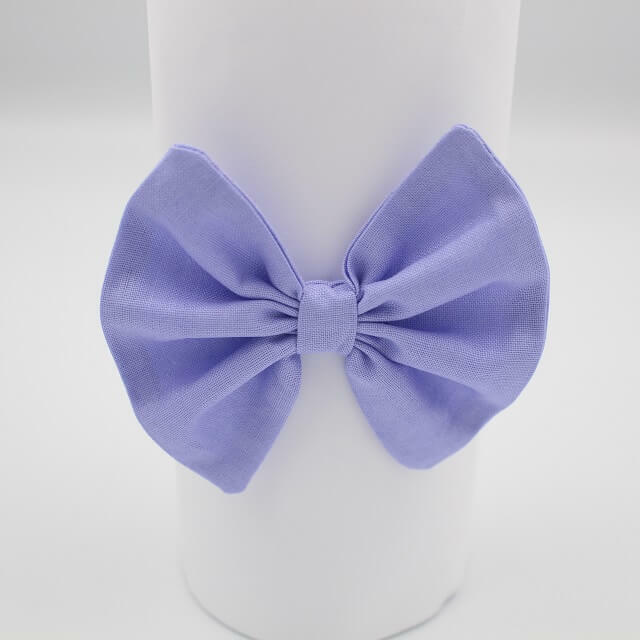 We have a large selection of coloured accessories including this beautiful purple colour. If you love solid colours we have a large selection with the most popular being the pink headband. Make sure your little one is always looking her best. When ordering our accessories please let us know the size required of your little girl. Some of our products are classed as head and neck attire making them potentially harmful. Please supervise your baby when wearing any of our items.